Leave your legacy through a planned gift. NOW to be realized in the FUTURE! Giving a bequest gift in your will allows you to make a major charitable contribution which may not be possible to make during your lifetime, and will save your estate a sizable amount of money on taxes. Коли ви робите заповіт не забувайте про організації яким ви можете подарувати великий благодійний внесок, який неможливо було зробити протягом вашого життя. Цей дарунок збереже значну суму грошей на податок. 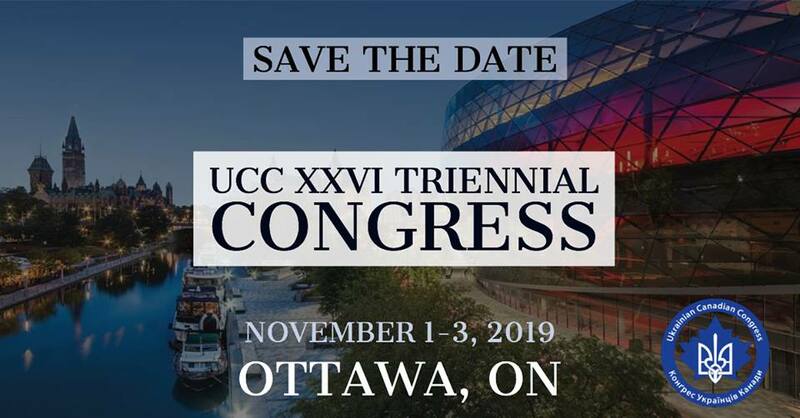 The Ukrainian Canadian Congress-National would be honored if you would consider leaving your legacy in your will to ensure that the UCC-National continues to make our community strong, respected and influential. Конгрес Українців Канади був би вирізнений, якщо б ви вирішили залишити свою спадщину, щоб Національний КУК міг продовжуваи свою роботу на користь громади, щоб вона була сильною, шанованою та впливовою. Please talk to your legal advisor, accountants and/or investment advisors. A planned gift can help get significant tax advantages and allows to make a gift at a higher level than what might have been considered possible. It is always a good idea to coordinate the planned gift with the charity/organization to ensure the maximum benefit is achieved. If you do not want to do that, an unrestricted bequest is always the best option. We thank you in advance! Заздалегідь дякуємо Вам! Why Give a Planned gift to the UCC-National? To ensure that the work you have supported and believed in continues. To make sure that our community’s and Ukraine’s interests are protected and represented. To make sure that our community will be strong for many years to come. It is a tax-effective way to support the UCC – your estate may claim gifts in the year of death up to 100 % of your net income in that year and the preceding year. You will become a member of our Planned Giving Club. With your consent, you will be recognized in our donor listing. Talking it through with your kids is a crucial step. Explain that your charitable donation will offset taxes on the estate, and instead of your money going to the tax collector, they will go to your favorite organization. Ways to make a Planned Gifts to the Ukrainian Canadian Congress-National. Life Insurance: By naming the UCC-National as a beneficiary of your policy or transferring the ownership of your existing policy to the UCC, you receive a tax receipt for premiums paid after transfer. This is a very affordable option to create a significant legacy. Annuities: Provide a cash gift to the UCC and have fixed income for the rest of your life. Stocks and Securities: Donate publicly traded stock and securities and MINIMIZE tax paid on your estate. RRSP, RRIFs, and TFSA : Designate the UCC as the beneficiary of your RRSP or RRIF or TFSA and your estate will receive a tax receipt for the full donation amount. Charitable Remainder Trust and Gifts of Residual Interest: Arrange a trust for the UCC using cash, bonds, securities or personal property. You will receive a tax receipt today and can continue to benefit from the assets. Memorial Gift: Ask your family and friends to donate to the UCC in your memory. Some practical tips on how to prepare to meet with your lawyer. Create an Inventory of Assets and Liabilities. Make a list of all of your close family members and friend whom you want to remember in your plans. Also include any charitable organizations you want to benefit after your life comes to an end – educational institutes, hospitals, places of worship, etc. A gift to charitable organizations through your estate can make a lasting difference. The executor is typically a spouse, sibling or child but can be anyone you trust to follow the directions you have stated in your will. You will want to choose someone who is honest and who has good organizational and communication skills and will be sensitive to the needs of your family. Naming an Alternative Executor may also be a good idea. I give and bequeath to the Ukrainian Canadian Congress – National, Winnipeg, MB, the sum of $________ or ______% of my estate.